But isn't that what friends are for? that is like the best thing that has happened to me these past few days. 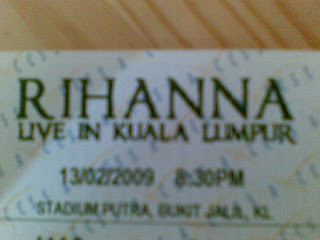 and these past few days have been hectic for me alright.. was so happy when i purchased the tickets to Rihanna's concert! have been waiting for her to come here for so long. thank goodness i didn't go to her concert in singapore last year. that would have been such a waste of money. jean told me that she would be going but she bought the very very very expensive tickets which were definitely out of my budget..thank god for a friend who agreed to go with me. even though he, i don't think, really likes rihanna. used to drive him crazy singing 'umbrella'. hehe..
at least now i have some motivation to finish my assignment cuz it's due the day of her concert. no more last minute work!! 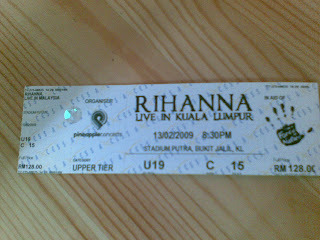 thanks my rihanna concert going friend..u know who u are..
i know how people have been wondering..
about what i have absolutely no idea..
but one thing i'm definitely sure about..
a person's private life is out of bounds..
so take your 'nosyness' somewhere else..
if you want to know the truth, it is only appropriate for the person mentioned to wait for a time that is suitable for a "tell-all" session..
and for those other people who have been saying bad things, i know whatever it is you are thinking and whatever it is you have been spreading..malicious, untrue, stupid and unnecessary..
just thought to inform you that these things hurt and people have feelings..
you might not like me but it is not compulsory for you to show it especially if you do not know me..
i am not one to bear grudges..